AVTECH learned about the safety concerns from the students’ families, and the solutions are listed as below. 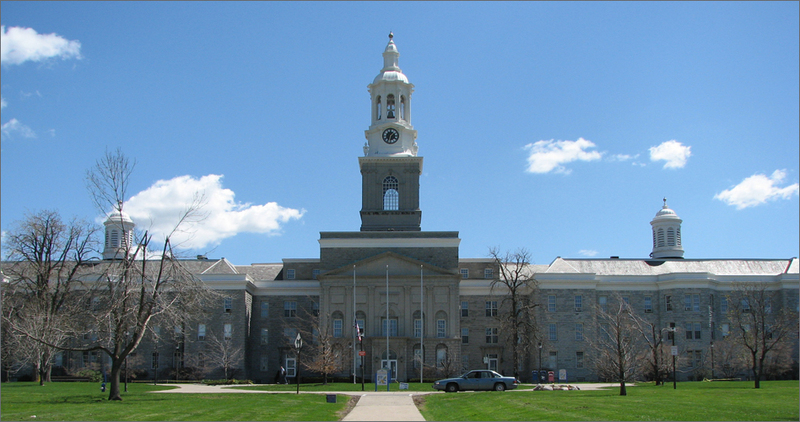 1.Video Surveillance : AVTECH Cameras provide HD image of the surrounding of the campus 24/7. And the security staff is able to monitor the campus through CMS and Mobile APP . 2.Attendance Management : To track and report attendance condition of the staff and the students. Users can also set a access authority requirment on RFID tag to unlock doors for rooms that can only be entered by the staff. 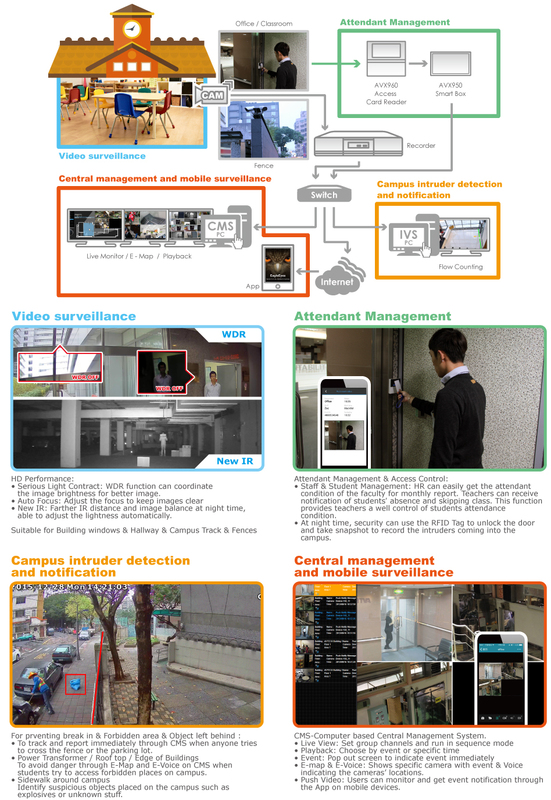 3.Campus intruder detection and notification: Report events when intruders try to break in the campus fences. Reports will be shown on computer CMS and Mobile APP immediately. 4.Central management and mobile surveillance: All cameras will be monitored in control room on computer CMS. Every events will be sent through Pop out screen with E-map and Voice indicating the event’s location. Instant notification will be sent to certain mobile devices through APP to fulfill multiple safety purposes. In the system, we especially focus on the safety issue and strengthen the protection measures. Its high flexibility in application and installation makes it the perfect choice for schools with different environments.